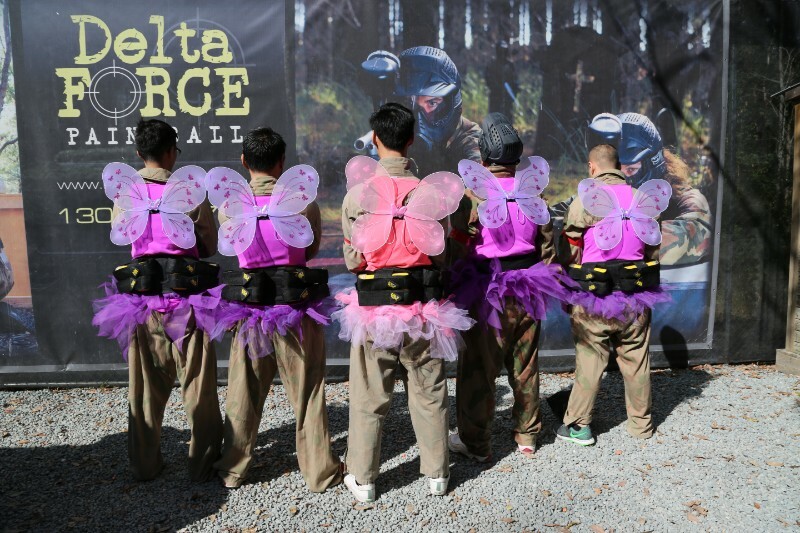 A bucks day at Delta Force Paintball is something he’ll never forget. And you’re the man who is going to give him the best send off possible. You can book by calling one of our event coordinators at any time of the day. They are available 24/7 and will help you plan everything to give your stag something to remember. How to make him stand out? 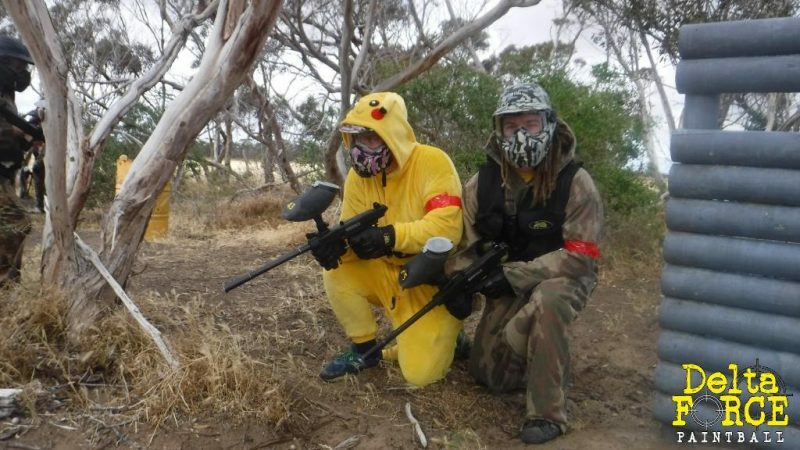 The marshals will get you kitted up ready to play and this is your chance to get you stag all dressed up in one of our Onesies, or you could all wear your own costumes. 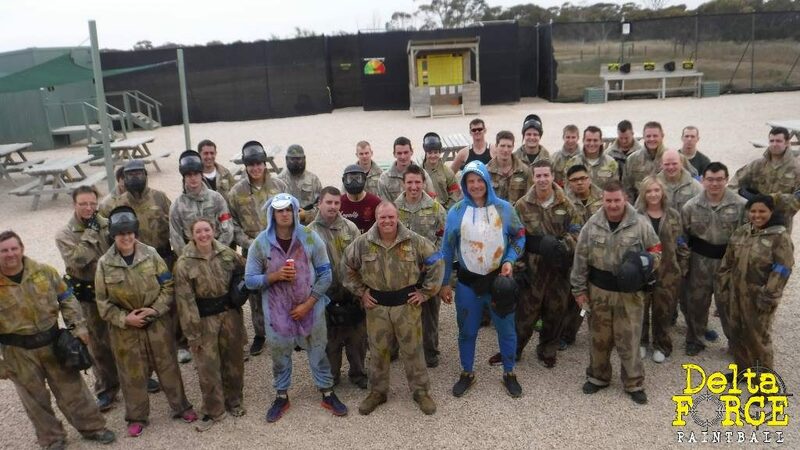 We recommend you all buy a group pack (you don’t want to run out of paintballs when the stag is on the loose!). Don’t forget to let the marshals know who the guest of honour is; they’ll give him some special treatment! Of course you’ll have breaks in between games, where you can rehydrate (sorry, no alcohol), and refuel for the next match. You can order pizzas for the group for lunch, or bring your own food. 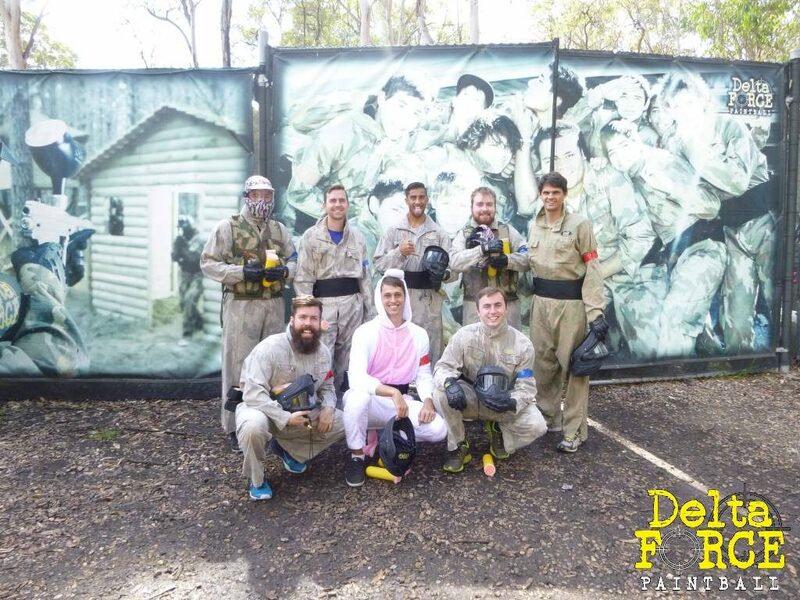 We recommend bringing plenty of water; to prevent dehydration we want the stag to last the day dehydrated!